Yes, yes. Hat season. I'm so stoked that even though I chopped off my hair, I can still rock wide brim hats, beanies, and all sorts of other fun headgear. Here are some of my favorite looks for the autumn season. Beanies are bomb. I have so many of these damn things, and somehow I still want more. 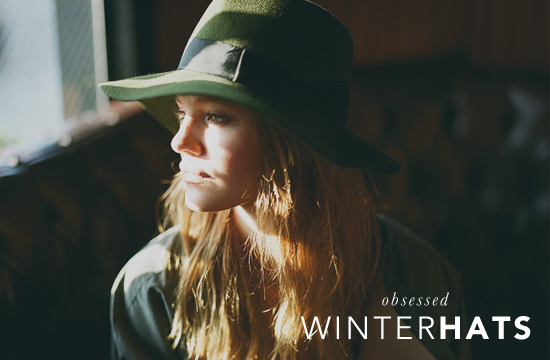 I love how they can be cozy, comfy, messy hair cover ups — and even chic, warm, colorful head accessories. The addition of the beanie (with those neon shoes, damn!) in the first outfit makes that outfit pop. The middle outfit makes me wanna cuddle up in a cabin by a fire. And the third photo makes me, one, buy more overalls, and two, try beanies with everything. She looks so badass. I should say first of all that I don't support the use of real fur in fashion. I dig these style of hats for this upcoming winter, but only if they're cruelty, faux-fur! The first falls totally in line with my current black and white obsession, and the shape of the hat totally rocks. The second, however is effortlessly comfy. Personally, I would outfit that sweater with black denim and black shoes so that more focus would be on that bright sweater and hat, but this lady is pulling it off well. 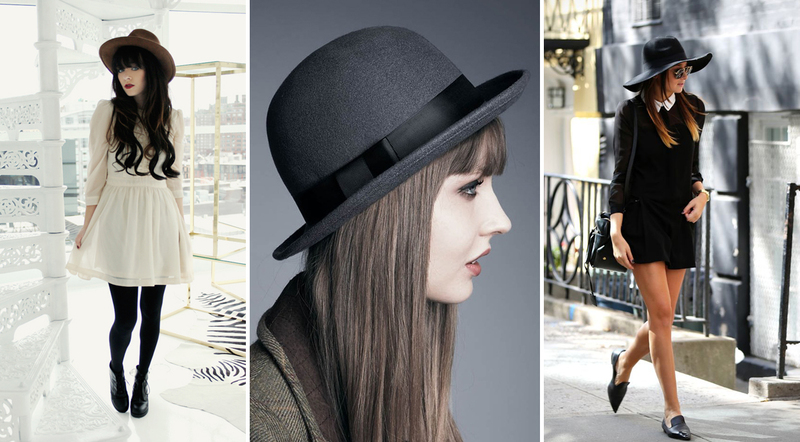 Brimmed hats are an easy favorite for me. With that being said, Rachel from Jag Lever is the queen of hats. She wears them so well and I'd love to raid her collection! I do have a bowler (that I love, a la Charlie Chaplin-style), but this grey one is a nice change. And finally, the big floppy hats. 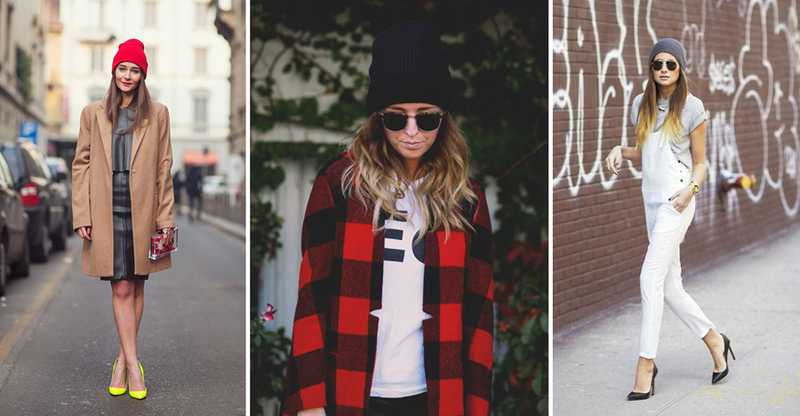 When made from wool or felt, they're awesome for fall and winter!